Women and men have different considerations when it comes to long-term financial goals. For instance, because of a woman’s average longer life span, your needs may be significantly different from those of your spouse or others. Does your financial strategy fit your lifestyle and needs? 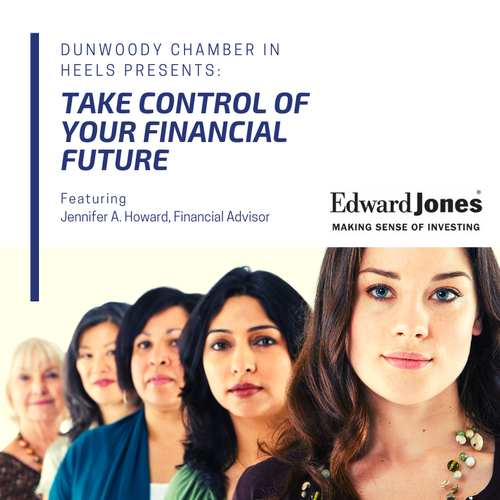 Join us for an informative Dunwoody Chamber in Heels luncheon, featuring Edward Jones’s Jennifer A. Howard-Financial Advisor, on May 1, 2019, at Vino Venue at 11:30 a.m. to learn more as we explore five critical money questions for women. Following her passion for helping investors reach their financial goals, Howard came to Edward Jones as a financial advisor in 2008. Prior to that, she graduated from Georgia Tech with a degree in engineering and had a successful career as a business consultant with IBM, where she advised numerous Fortune 500 companies. As a local Dunwoody business owner & resident, Howard is also passionate about promoting local business development. She served as a charter & former board member of the Dunwoody Perimeter Chamber of Commerce. She received the Oustanding Service Award from the Project Management Institute for her volunteer efforts, and she is deeply involved in the Technology Association of Georgia and Women in Technology. During the event, attendees will have the opportunity to network, hear from our speaker, and enjoy a buffet-style luncheon catered by Vino Venue. *Sorry gentleman, this event is designed for ladies only. Advance registrations will end on Monday, April 29 at 10 a.m. After that time, no walk-ins will be permitted. 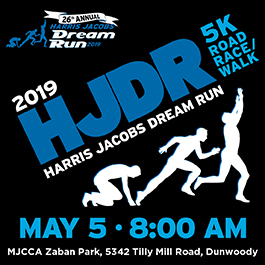 Sponsorships: Sponsorship opportunities are available for this event. Please click here for additional sponsorship information. You may register for these by clicking the register button on this page. *Registration includes catered lunch and refreshments. **No refunds will be given for no-shows or cancelations.